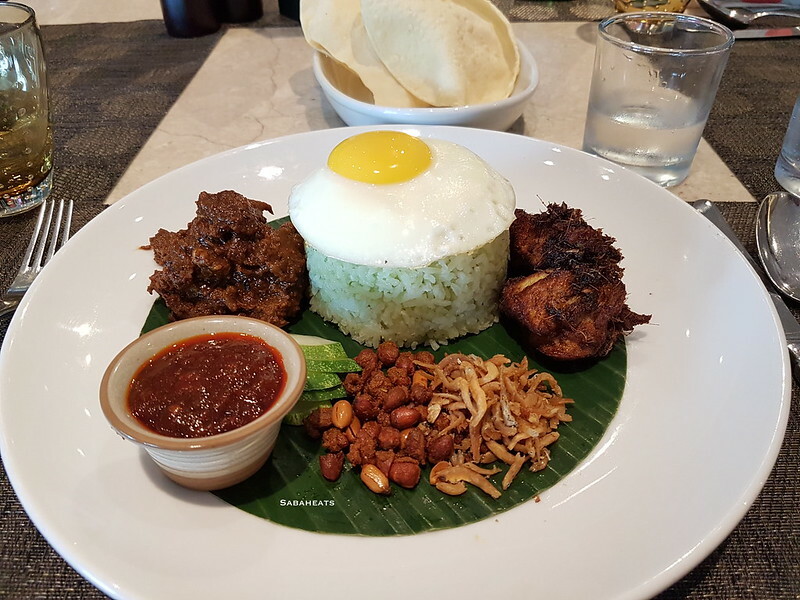 Nasi lemak mean”fat rice” is a fragrant rice dish cooked in coconut milk and pandan leaves, served with sambal, fried crispy anchovies, toasted peanuts, and cucumber traditionally wrapped with banana leaf. 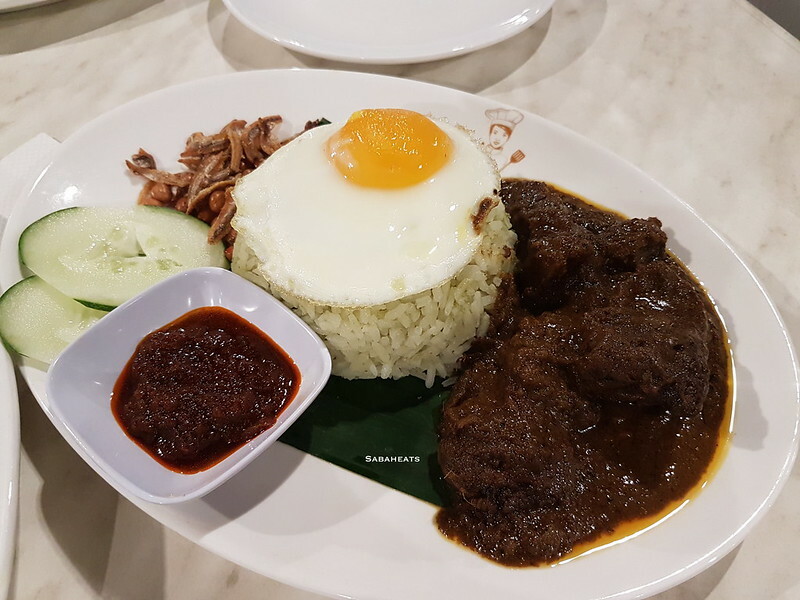 The most important component of Nasi Lemak is rice and Sambal. It is commonly found in Malaysia, where it is considered the national dish. 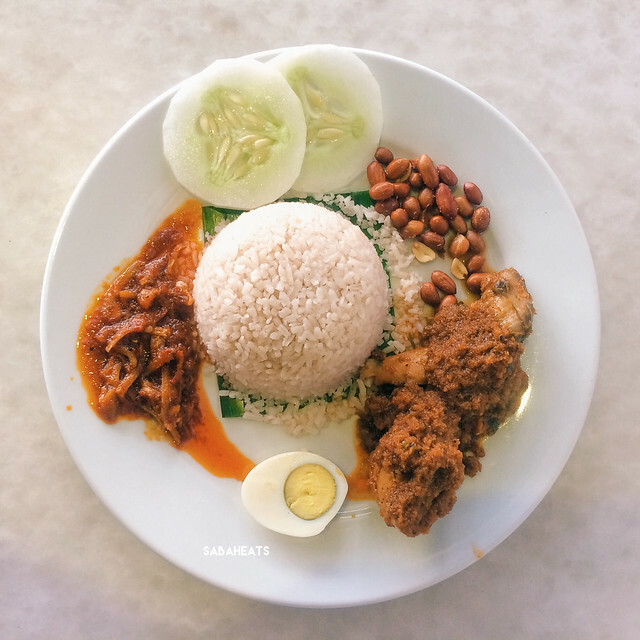 Finding a good Nasi lemak at Kota Kinabalu is hard but we at Sabaheats manage to hunted down these few must-go places to have nasi lemak! 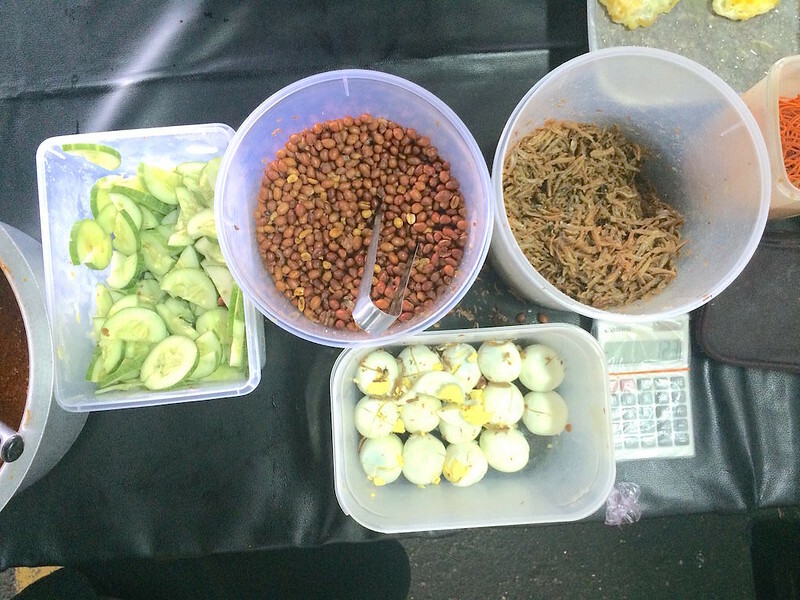 This nasi lemak stall starts selling the nasi lemak early in the morning and usually sold out the dishes by 6 am. 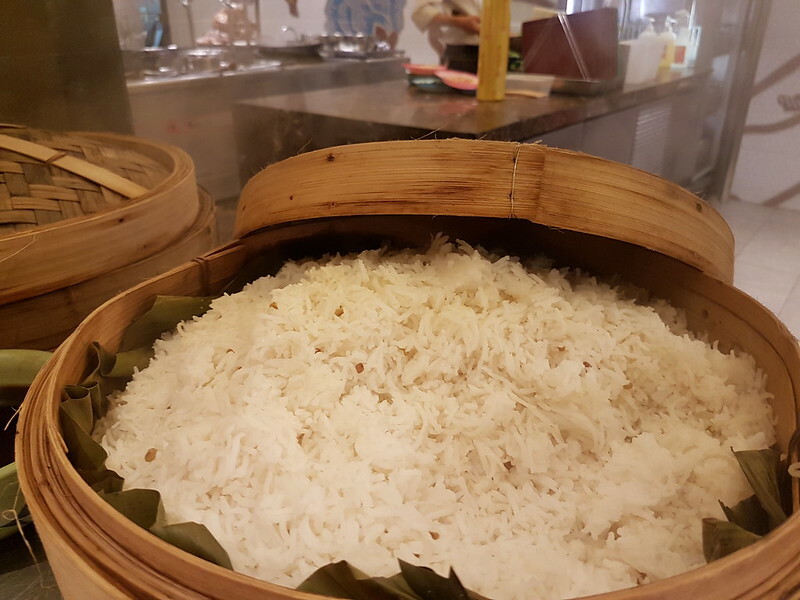 Its rice is fluffy and aromatic, and sambal spicy and runny, pairing it with their side dishes takes it to another level. tips: Go early, there are few stalls selling nasi lemak but you will see long queue at this stall. 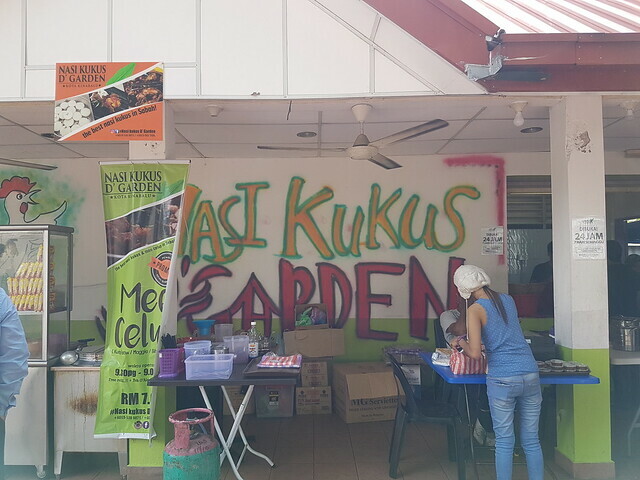 tips: there are many stalls at Putatan Tamu selling Nasi Lemak, go with the crowd and but from the stall with the lowest queue. 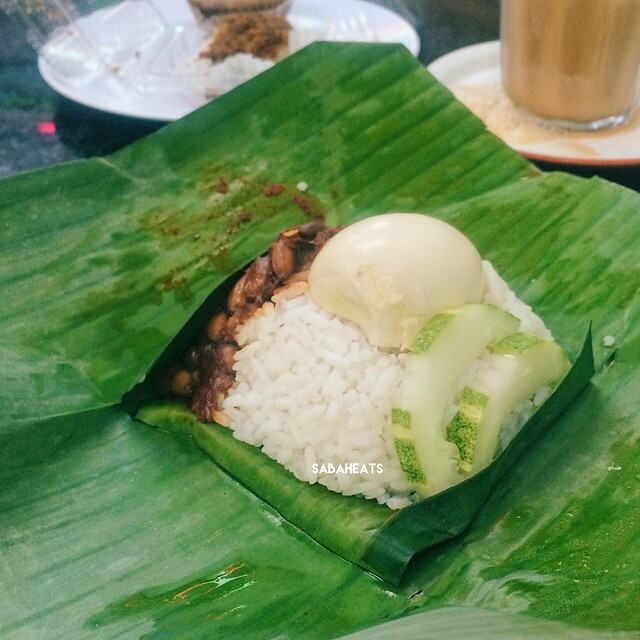 Bits & Bites famous for their traditional Malay Kueh and they also sere good Nasi Lemak wrapped with banana leaf. 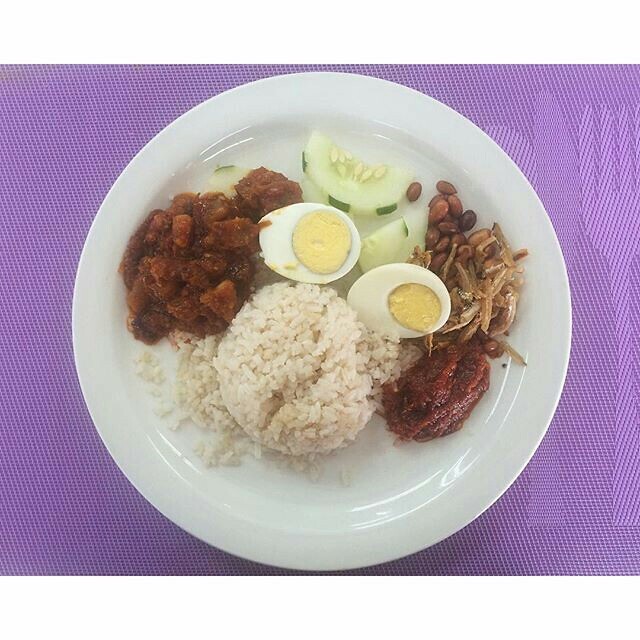 Jasmine Restaurant & Catering sell Nasi lemak from 7 am to 10 am. Their sambal has a distinctive taste and packs quite the punch best pair with their side dishes. The sambal is spicy packed with punch. If you want a more sinful version, go for the Nasi Lemak with fried chicken. 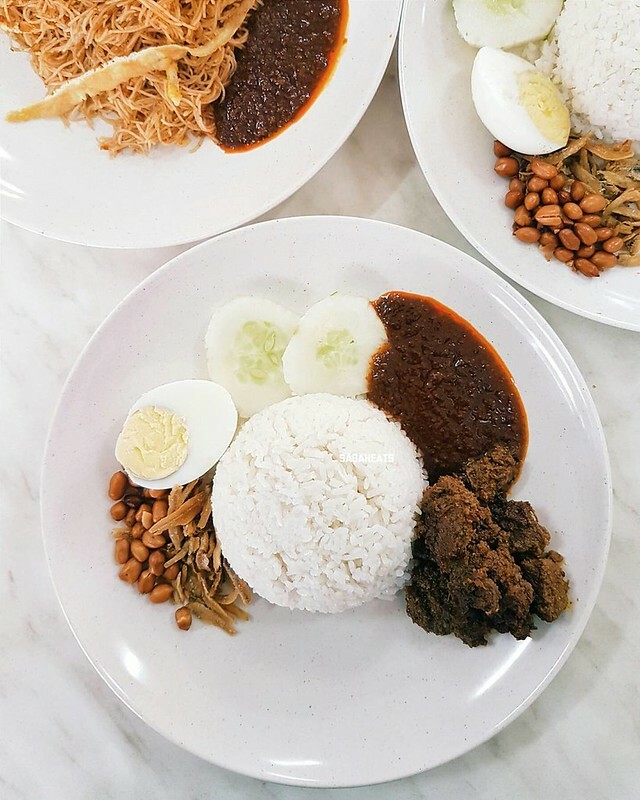 Sino kitchen serves sino style nasi lemak. The sambal is sweet and runny and the chicken is marinated with lemongrass and chili. 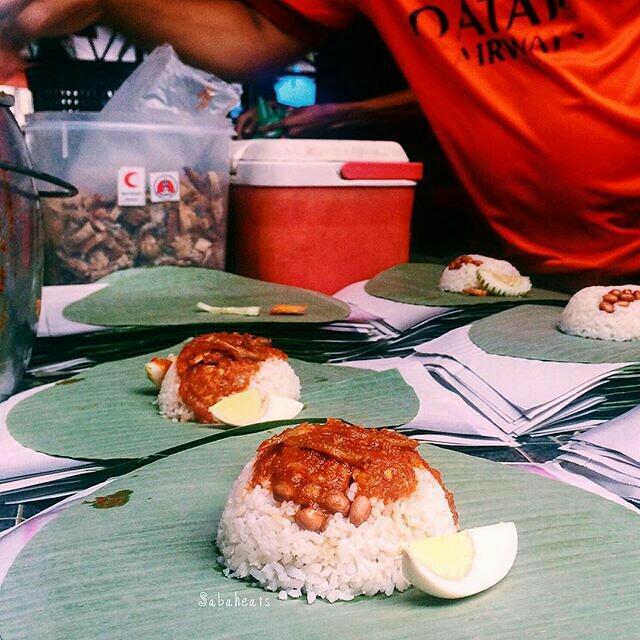 Pak Din Nasi Lemak with the recipe from Table no.1 opens at Kompleks Karamunsing food court area at the ground floor. 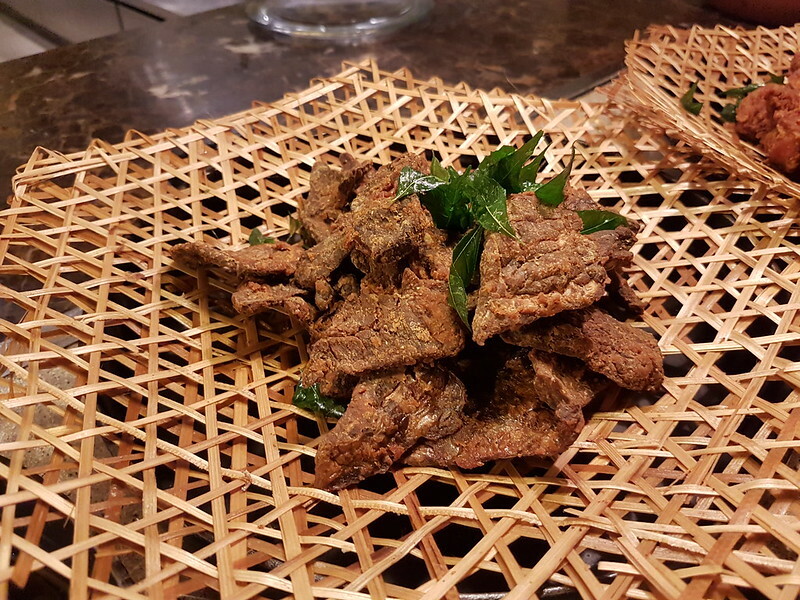 Famous for dishes such as Daging masak kicap (dark sauce beef), paru sambal, sambal petai and ayam masak berempah. Nice little cafe beside Donggongon Bypass. They serve Nasi Lemak Ayam berempah and western food and they gonna serve Sarawak laksa soon too. Nice and simple Kafe and most importantly they have aircond. 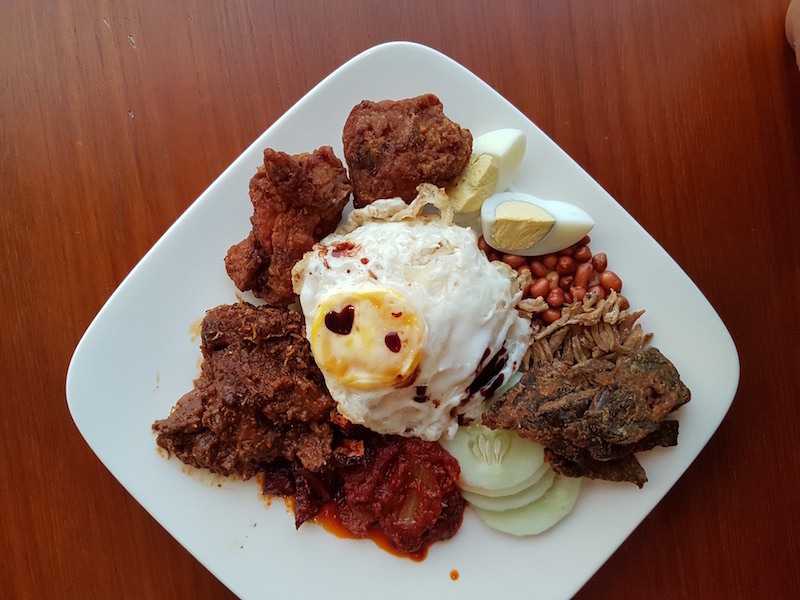 Voted as Best Malaysian Food of Sabah Food Award 2016, Lucy’s Kitchen serves a good variety of Nasi Lemak. 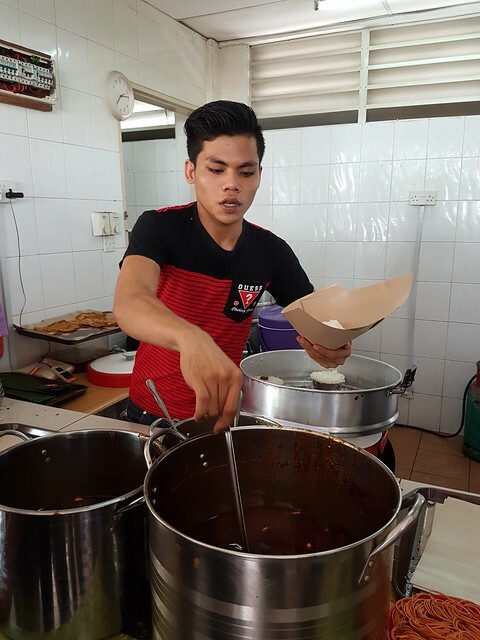 Customers can pick their choice of rice (Nasi Lemak, Nasi Pandan or Nasi Briyani) and pair with their favorite side dish (Rendang, fried chicken, Lamb). The combination is limitless. 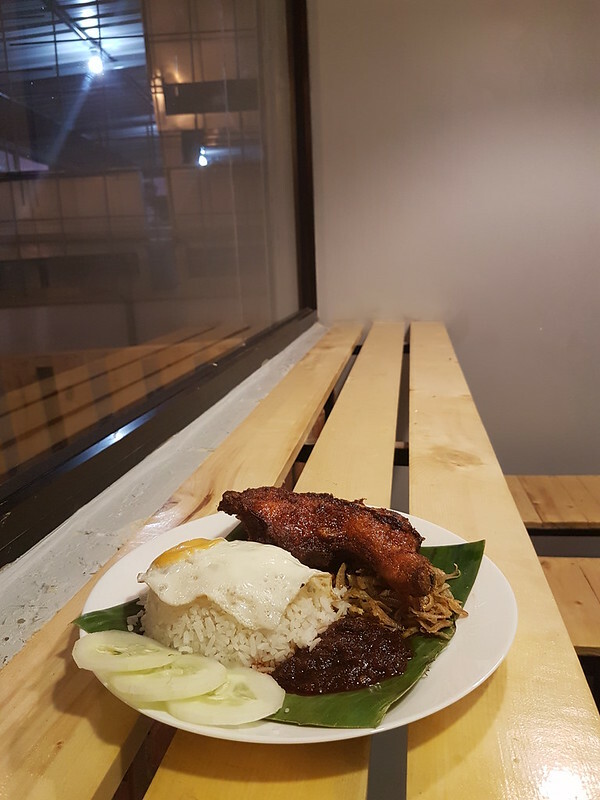 Delicious Nasi Lemak in a convenient and comfortable place. Opening hours: Ala Carte menu from 10 am to 11 pm, part of Buffet menu on Friday, Saturday and Sunday at Latest Recipe. 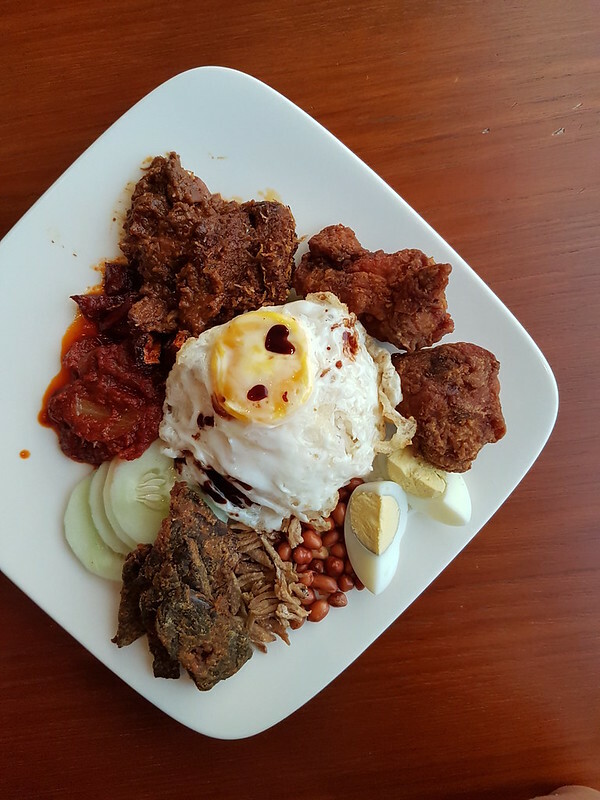 Nasi Lemak by Chef Mizan (Formerly at The Cinamon Place) now serving at Latest Recipe. 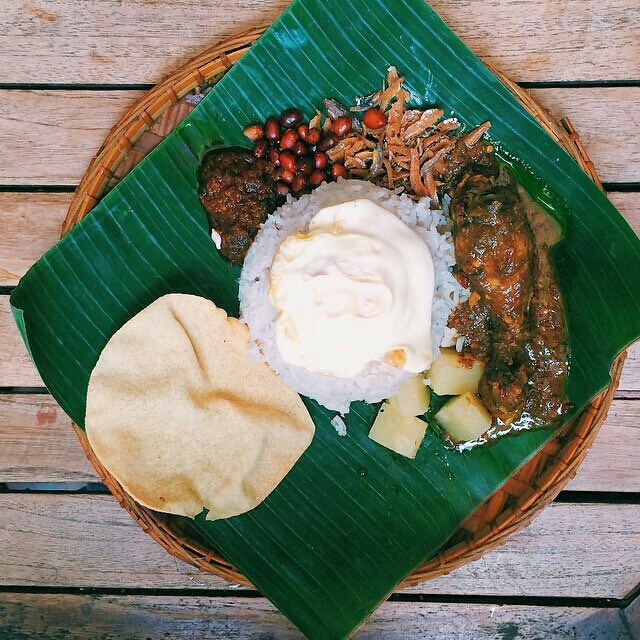 The ayam goreng berempah is hot and delicious pair with beef rendang is a plate of delicious Nasi Lemak. Opening hours: open 24 hours! 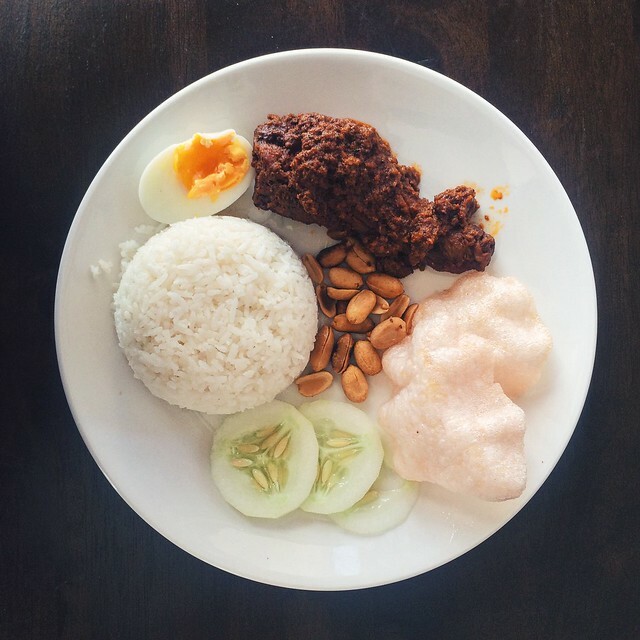 Nasi kukus which means “steamed nasi lemak” is another name given to nasi lemak served with steamed rice. Their Sambal is to die for and remember to add Sambal for your order as you won’t get enough of their Sambal. The rice is steam separately in each canister before being served. There are always long queue here so be prepared to wait!